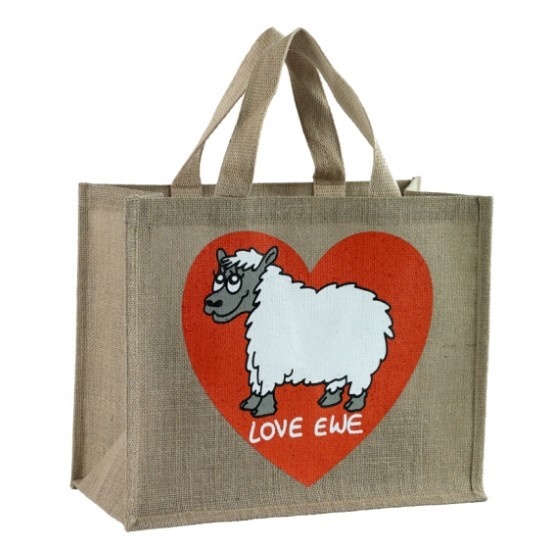 Vanessa Bee Shopping Bag "Love Ewe"
This bag is manufactured from jute which is 100% biodegradable. 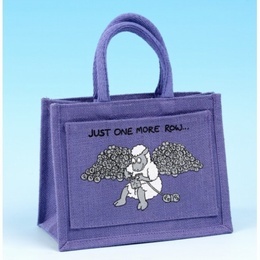 Wipe clean lining on the inside makes this bag easy to keep clean and use again and again. Vanessa Bee Just One More Row Project Bags. 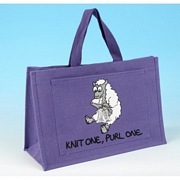 Vanessa Bee Shopping Bag "Shop Til Ewe Drop"